I really fancy the silhouette of all the new little skirts coming out. I think they're cute and flirty but not skanky. They're also perfect for summer. Sadly, I'm broke from all the shoe shopping so I decided to make one myself and share the process with you as my first DIY blog. Everybody wins! 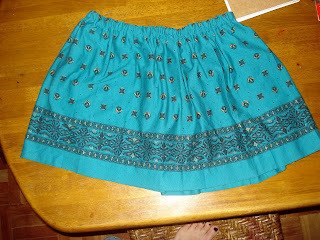 Decide first if you want your skirt to fall on your waist or first hip. 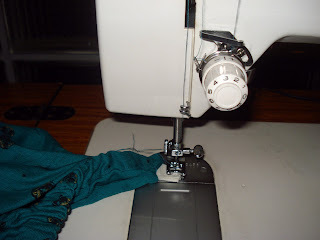 Measure your waist or first hip then multiply it by 2. ex: if your waist measures 25" then that's 50"
Buy your fabric and tell them you need 50" or if you like recycling like me, just cut out 50" from an existing vintage skirt. When using new fabric, don't forget to pre-wash. Fabric often shrinks. 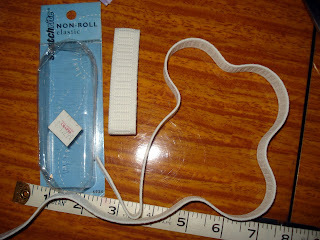 Measure how long you want your skirt to be. 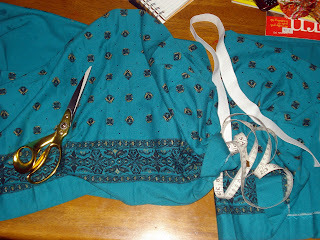 Don't forget to add 2-3 inches for your waistband casing and hemline depending on how thick your garter is. 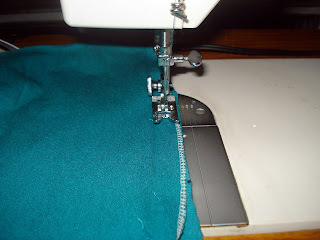 Fold your fabric in two, right sides facing each other, and sew together. Viola! Your skirt is done. Wear with pride! 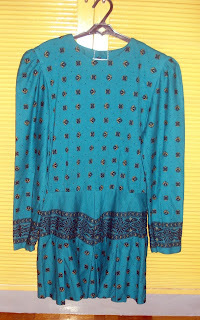 have yet to figure out what to do with the top part but I already have an idea...I'm thinking of making a drop-waist dress with strong shoulders.